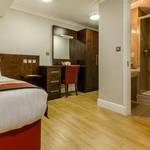 These 3 star hotels in the Paddington area of London are great value for money. Clean and comfortable with trained staff to help you. They will have good information available about all the popular London attractions. What ever you have come to see, help will be at hand. Adequate provision of services will also be available. Take advantage of somewhere to eat either in the hotel itself or a choice of restaurants in the local area. If you are here for the cricket or here just to enjoy, it will be hard to find better accommodation at these great prices. Click on any of the below for more information or top reserve a room. Also, don't forget to read up on what others have though by reading the reviews. 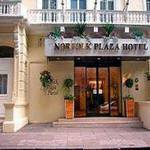 These are your choice of good quality hotels at great prices. 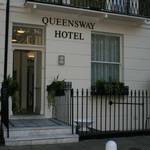 Our charming and elegantly decorated establishment is ideally situated close to Paddington Station giving easy access to the West End, Hyde Park and main shopping area. Our helpful and kind staff are on hand to assist you with your every need and welcome you with warmth. The fabulous Georgian style building is set in a lovely area in Kensington Gardens. 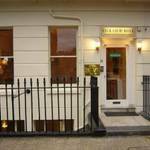 It offers you a peaceful oasis close to Paddington main and tube station. Just 15 minutes to Heathrow by express train also means easy access to London's main attractions for you. A wonderful bed and breakfast accommodation set in a peaceful lush green tree lined square. A family run establishment at very affordable rates jelled in the heart of this exciting city. It is a perfect choice for holiday makers or business travellers. A stunning building set in a magnificent garden square only moments away from beautiful Hyde Park, Oxford street, modern development of Paddington and never ending night life of Edgeware Road . We aim to provide a very warm and friendly welcome , right from the time you make your first entry . We will simply make you feel at home in this exciting city . We are a family run B & B and we welcome other families to join us, feel relaxed and comfortable and enjoy a warm atmosphere. Close to Paddinton tube and main rail station and just 15 minutes to Heathrow by express train. Close to West End. Great for the shopoholic, business person or sightseers. 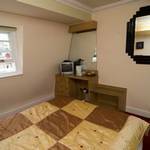 Good sized rooms come to you cheaply in a great location close to Paddington station. Perfectly placed close to Paddington we offer the best location for all of London's main attractions. Newly refurbished our Victorian Town House gives you comfort and a relaxed environment with all modern amenities. 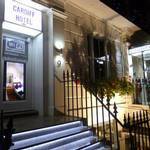 Our warm and friendly staff will ensure you have a very enjoyable and pleasant stay with us. Our recently refurbished and redesigned hotel featuring blend of elegant and stylish decor, located moments away from the heart of Bayswater. It is a perfect piece of heaven from which to explore the delights of the city. It is only a few minutes walk from Hyde park, Kensington Gardens and dazzling Queensway.This is a perfect place for hanging out with friends or travel companions. 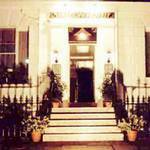 Modern accommodation produced from 2 classic nineteenth century buildings with fashionably designed rooms throughout. A great location within just a couple of hundred metres of Paddington tube and railways station. 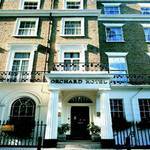 Situated in Sussex Gardens, our grand hotel offers the very best in comfort and refinement. We have 35 delightful rooms, fitted with all modern amenities to make your stay an enjoyable one. Our excellent team of staff offer a warm and friendly service, making us the ideal choice of hotel for any visitor to this wonderful city. Superbly located close to Hyde Park and Paddington station. 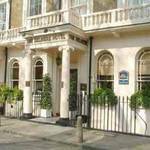 A good cheap option in a very central London location is what Elysee offers you. Perfectly placed on Sussex Gardens with easy access to Lancaster Gate tube and Paddington Station and just 15 minutes to Heathrow by express train. Good location for the shopper, theatre goer, sightseers and those simply wishing to enjoy a break away. We deliver visitors with an excellent platform for exploring London. The Abbey Court is found in the quiet tree-lined avenue of Sussex Gardens within close range of many of the city's sight-seeing opportunities. A stunning Victorian building set close to Paddington but also near beautiful Hyde Park, Oxford street and lively nightlife in Edgeware Road. We aim to provide a very warm and friendly welcome right from the time you make your first entrance. We will simply make you feel at home in this exciting city. 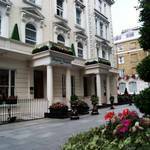 We are renowned for being a top value home from home for people staying in London. Just a few minutes from Paddington and a 20 minute train ride to Heathrow. A wonderful Victorian townhouse close to all of London's main attractions. 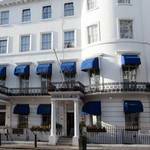 Our hotel, the Elizabeth, is a privately owned, family run establishment set in the heart of Bayswater, very close to Hyde Park and just a minute away from Lancaster Gate Tube. Really delightful, pretty surroundings with an ornamental garden that is truly magical. Wonderful location for enjoying the West End. Established for 20 years with a respectable repeat clientel, we are proud to ensure a relaxed and pleasant stay with us. 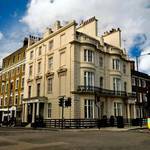 Close to Paddington station and tube and just 15 minutes by express train to Heathrow. Ideally placed for enjoying the West End. Good for business and leisure travellers alike. Nestled amongst the trees along this delightful avenue we provide the best base for those wishing to enjoy London's main attractions. 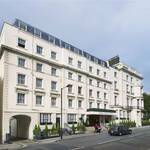 Close to Paddington Station and just 15 minutes to Heathrow by express train. We are a privately owned, centrally located establishment offering comfort and a friendly and personal service. Close to Paddington with easy access to London's main attractions and just 15 minutes by express train to Heathrow. Ideal for the leisure and business traveller. 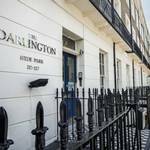 An elegant , Georgian House set within the close radius of beautiful Hyde Park, Oxford street, modern development of Paddington and never ending night life of Edgeware Road . We aim to provide a very warm and friendly welcome , right from the time you make your first entry . 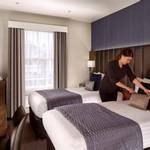 Cecil court will simply make you feel at home in this exciting city . A fine choice for those seeking a great location at great prices. This pleasant, quiet and clean budget hotel is well located near Paddington, many attractions and the West End. 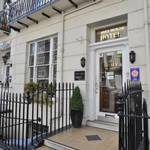 Very pretty Victorian hotel, family run and wonderfully close to Hyde Park. Closest tube and rail station is Paddington giving easy access to the West End, City with good links to North and South attractions such as Wembley and Earls Court. Perfect for the business or leisure traveller. Just 15 minutes to Heathrow by express train.